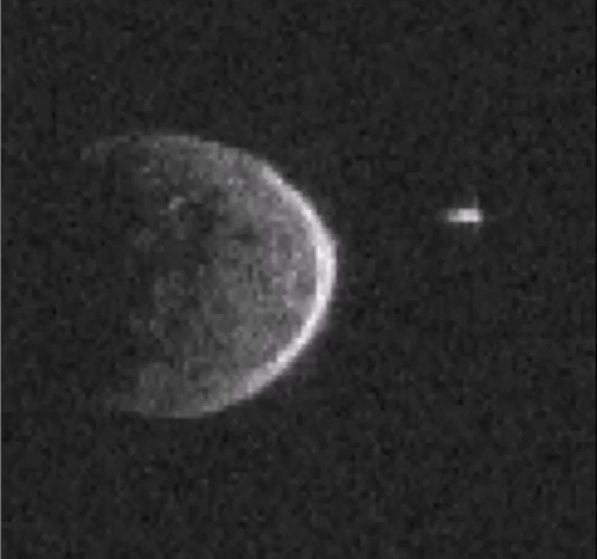 A UFO appears clearly in a series of NASA photos taken Monday of a giant asteroid that zoomed past Earth at a speed of 35,000 miles per hour, missing our home planet by what in cosmic terms was a hair’s breadth — 745,000 miles. In fact, the UFO appears so unmistakably in the NASA asteroid photos that the government scientists could not ignore or deny its existence this time. That, anyway, is the view of the UFO researchers who placed a spotlight on the bizarre sighting, when the photos were made public Tuesday. “This asteroid has a UFO flying in orbit around it. We can see from the detailed photo that the craft is diamond shaped and flat,” wrote Scott Waring, prominent UFOlogist and editor of the popular blog UFO Sightings Daily. Here is an animated GIF image created by the NASA Jet Propulsion Lab in Pasadena, California, allowing viewers to judge for themselves. Is that a “moon,” or some kind of alien spacecraft? When the asteroid the size of a small mountain, a space rock known as 2004 BL86, whizzed past Earth on Monday, it was the closest fly-by of an asteroid that size that any astronomer had on record, and will remain the closest until another huge asteroid — 1999 AN 10 — barrels past our planet in the year 2027. The above GIF is composed of 20 images taken by NASA’s 230-foot-wide Deep Space Network antenna in Goldstone, California. Waring enhanced the images to show the purported UFO in a closer view. In other words, NASA says that it is not at all unusual for a large asteroid to come complete with its own “moon” — which in reality is a smaller asteroid trapped by the gravity of the larger one. But NASA’s explanation remained unconvincing to UFO researchers who saw not a 230-foot rock, but an extraterrestrial spacecraft in the grainy images. 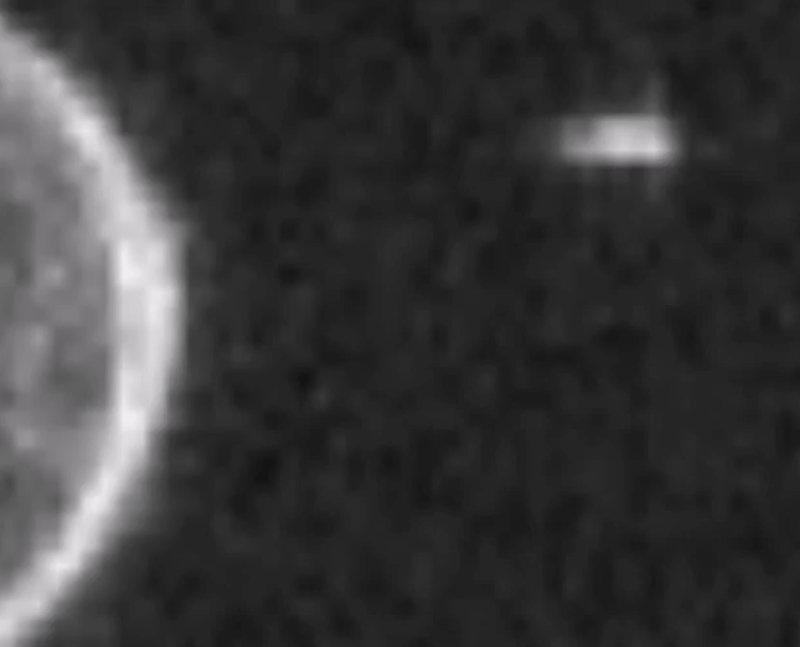 Above is a video composite of the latest NASA UFO images from the asteroid fly-by.